“The bigger concern is if the shutdown continues, what will happen to SNAP. If the benefits are suspended, that could have a catastrophic effect on the food bank network across the country,” said Roberts. He said food banks are awaiting word on the shutdown and the future of the SNAP program. 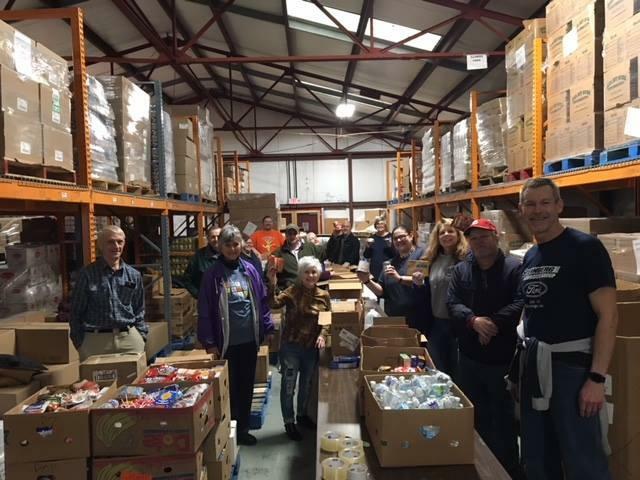 Tri-State Food Bank is a member of the Kentucky Association of Food Banks and distributes food in eight Kentucky counties - Crittenden, Daviess, Henderson, Hopkins, Livingston, McLean, Union and Webster. In Indiana, Tri-State Food Bank distributes to nine counties, including Vanderburgh, Warrick, and Posey. Friday marks the third week of a partial government shutdown stemming from the debate over funding for President Donald Trump’s southern border wall. One of the towns feeling the effects of the debate is Hodgenville, Kentucky, the birthplace of President Abraham Lincoln. When you drive through Hodgenville, you soon notice that it's Lincoln country. The presence of our nation’s 16th president is felt everywhere: statues in the middle of the town square, the Lincoln Museum, Lincoln National Bank, the Lincoln’s Loft Bookstore, and the local radio station, Abe 93.7. “Our town sees anywhere from 200,000 to 250,000 visitors each year," said Lincoln Museum Assistant Director Rob Thurman.